Have you ever had a moment in your life where you heard the heavenly hosts break forth in song? That moment where your face was illuminated in wonder, as a soundtrack of glory played in the background? That movie-like moment, the moment where all came together in harmony and you knew your life was finally complete? While those were great moments, none of those quite compare to today’s. And I’m not talking about the moment when I stopped myself mid-fall on an escalator. True story. The news that I received today came via text message and then I researched the information on my own soon after. It’s in regards to something I’d even mentioned just this last week. I said I wished it would happen, but felt hopeless in wishing for this event. It was something I thought would be impossible. I should know better. 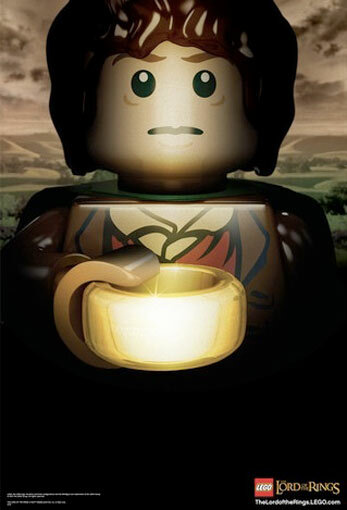 Summer of 2012, Lego will be releasing themed sets based on The Lord of the Rings. Can you hear the heavenly hosts singing now? I know I can! Posted in amazing, art, life, nerd alert, nonsense, randomBookmark the permalink.